A DURABLE AMD RYZEN MOTHERBOARDThe ASRock X470 Master SLI is a motherboard built for AMD AM4 Series CPU’s and supports DDR4 3466+ (OC) memory. With the AMD StoreMI Technology you can combine the speed of your SSD and the huge storage space of your HDD for a fast high capacity option for work and games. Another feature of the X470 is the built-in RGB illumination which can be connected and synced to various LED devices. There are multiple durability and protection systems the X470 offers, such as a Full Coverage M.2 heatsink, Solid Steel PCIe Slots, a XXL Aluminium Alloy Heatsinks and I/O armour protective cover. RULE YOUR OWN RGB LIGHTING In addition to the built-in RGB illumination, the X470 Master SLI features on-board RGB headers and an addressable RGB header that allows the motherboard to be connected to compatible LED devices such as LED strips, CPU fans, coolers, chassis and so on. Users may also synchronize RGB LED devices across the Polychrome RGB Sync-certified accessories to create their own unique lighting effects. EFFICIENT HEAT DISSIPATION A massive full coverage M.2 heatsink can ensure it is able to dissipate heat efficiently and can support up to Type 22110 M.2 devices, this full coverage heatsink will make sure your high speed M.2 SSD is always working at its best. STABLE SLOTS FOR HEAVY GRAPHICS CARDS The advanced PCI-E Steel Slots packed with solid cover that prevent any signal interference with graphics cards. Due to the slots robustness It also ensures that heavy graphics cards will be well-installed in the PCI-E slots safely. SUPPORT FOR SATA 3 AND ASROCK U.2 The X470 is equipped with a M.2 slot that supports both SATA3 6Gb/s and PCIe Gen3 x4 Ultra M.2 and is compatible with ASRock’s U.2 Kit for installing some of the world’s fastest U.2 PCIe Gen3 x4 SSD. FASTER SPEEDS AND CONNECTIVITY This motherboard has a pair of on-board Type-A and Type-C USB 3.1 Gen2 ports built on the rear I/O for supporting next generation USB 3.1 Gen2 devices and to deliver up to 10 Gbps data transfer rates. SPEED UP YOUR PC WHILE KEEPING MASSIVE STORAGE SSDs are fast, but expensive, and offer minimal capacity. Mechanical hard drives boast large capacity for a low price, but are much slower than an SSD. To challenge these norms AMD has produced a way to combine the speeds of your SSD with the capacity of your hard disk into a single, fast, easy-to-manage drive. 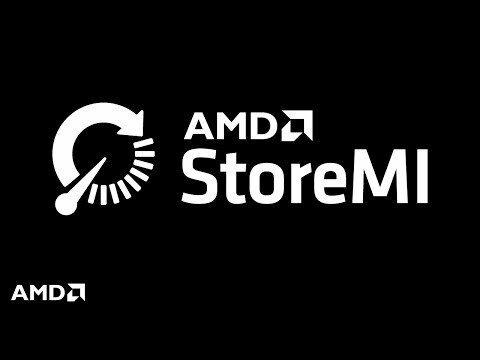 AMD StoreMI technology will combine these two types of storage into a single drive and automatically moves the data you access the most to the SSD. XXL Aluminium Alloy HeatsinkMake your system perform more stable as the X470 has extra-large aluminium alloy heat sinks that effectively take away heat from the MOSFET and chipset. PREMIUM 45A POWER CHOKE ASRock’s premium 45A power chokes effectively make the saturation current up to three times better, improving and enhancing Vcore voltage to the motherboard. HIGH DENSITY GLASS FABRIC PCB The X470 has a high density glass fabric PCB which reduces the gaps between the PCB layers to protect the motherboard against electrical shorts caused by humidity. I/O ARMOUR Protect the crucial parts near the motherboard’s rear I/O from static electricity with the X470’S newly designed protective cover. SAPPHIRE BLACK PCBPure black PCB appearance. The new Sapphire Black PCB represents rock-solid quality and gives the motherboard the availability to go be put into almost any build. NICHICON 12K BLACK CAPSNichicon 12K Black Caps offer 20% longer lifespans and are more stable and reliable. Supreme 12K black capacitors have lifespans of at least 12,000 hours. 2oz Copper PCB Using only carefully selected copper materials for PCB layers, 2oz Copper PCB delivers lower temperature and higher energy efficiency for overclocking. FULL SPIKE PROTECTIONSome sensitive digital components on the motherboard are vulnerable to power surges, the excessive current may cause your system to malfunction immediately. ASRock Full Spike Protection helps prevent your motherboard’s components from being damaged by these unexpected voltage spikes. MULTI-PURPOSE A-TUNING SOFTWAREA-Tuning is ASRock's multi-purpose software suite with a new interface, more new features and improved utilities. ASRock X470 Master SLI, AMD X470, S AM4, DDR4, SATA3, Dual M.2, 2-Way SLi/CrossFire, Intel GbE, USB 3.1 Gen2 A+C, ATX is rated 4.0 out of 5 by 1. Rated 4 out of 5 by LB55 from Excellent quality product. Just built a new PC with Ryzen 2700, Saphire RX580, ASRock X470 SLI MasterMB, Corsair Carbide Series 100R case, 600W Cooler Master PSU. The only downside with this motherboard is that I could not find drivers for Windows 7 (my preference) so had to move to Windows 10. Other that that it is an excelent piece of kit, well designed and reasonably easy to install (the printed manual could be improved). As this is a X470 chipset I have taken advantage of the FREE StoreMI software from AMD and use a 250GB SSD (Samsung 960 EVO) along with the 3TB Seagate Baracuda Harddrive. This software+hardware combination works extreamly well, giving me a massive C: drive, along with frequently used applications loading almost instantly.